The city of Calum is the home of Calumet College. Whether you are in the area to check out the college or are visiting the Camp Shabbona Woods, a toothache is the furthest thing from your mind. When one happens though, you need to seek treatment as quickly as possible. There are a number of Calumet City dentists and dental specialists available for you. Emergencydentistsusa.com has worked to put a list of area dentists together for you. There are dentists and dental specialists in the Calumet City area available for you to go through. Simply go through the list, choose a dentist to visit, and call them to set up an appointment. If you need help or are having difficulties viewing the list at the moment, call our toll-free dentist finder hotline. Our team of associates are trained to listen to your needs and help you to identify which dentist or specialist is the best fit for your needs. We go over the available options and give you a rundown of locations and hours. All you have to do then is let us know which dentist you would like to visit and we can set up the first appointment for you. It is bests to arrive at least 15 minutes early to your appointment to give yourself time to fill out paperwork. Bring along your insurance card, ID, and payment method. Calumet City as many dentists and dental specialists available for you to visit. You can chose from general dentists, cosmetic specialists, pediatric dentists, oral surgeons, and more. Before you visit a specialist, consult with your general dentist. They can best determine your need to see a specialist and can refer you to one if you need one. Description: Calumet Dental is there to provide you with exceptional and pleasant dental care. The staff works hard to support the people of Calumet. Many different services are offered from general dentistry, periodontal services, pediatric dentistry, cosmetic, and more. There are new patient specials available along with financing. Doctors: Dr. Ravneet Singh, D.D.S., Dr. Robertzon Guloy, D.M.D. Description: DentalWorks – River Oaks provides the most cutting edge dental equipment and up to date dental technology. The office offers a full range of dental services such as general dentistry, cosmetic dentistry, dentures and partials, emergency care, orthodontics, periodontics, dental implants, oral surgery, and more. The dentist accepts most major insurance plans and offers financing. 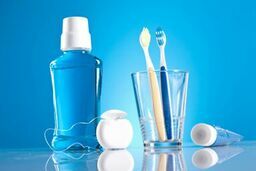 Description: Family Dental Care of Calumet City is committed to providing you with the best care possible. They offer a wide range of services such as general dentistry, cosmetic, surgical, restorative, pediatric, and more. Most insurance plans are accepted as are standard forms of payment. Financing Is available through several different avenues. Tooth pain can be debilitating and can come on at any moment. It is the first sign you have a problem that needs to be treated. Any toothache that lasts longer than an hour requires emergency care. If the pain is due to an accident, seek treatment at a local ER to rule out other serious injuries. Take the time to verify your new dentist’s licenses and credentials before you visit. You can do this simply by visiting the Illinois Dental Society website and searching for the dentists name. You may also inquire about this information with the receptionist at your first appointment.